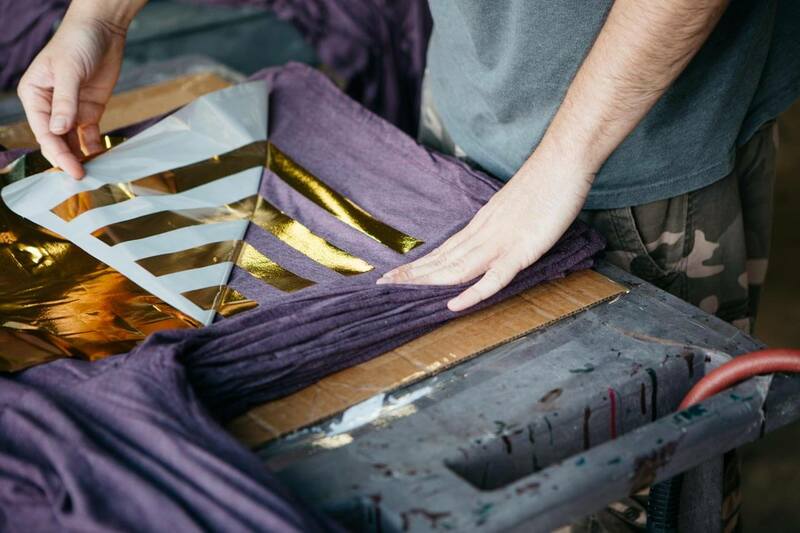 Foil screen printing is a very popular option to add shimmer to your apparel. It is applied to your garments by first printing your design with a special glue. We then adhere the foil to the glue with our heat press. The combination of heat and pressure seals the foil before the excess is removed. 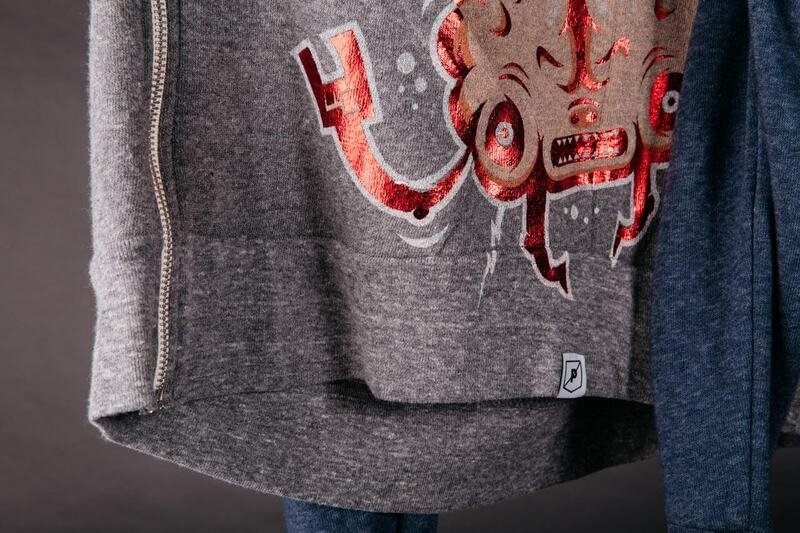 Foil printed t-shirts can be bold, but if designed well, it can bring the art to life and make it really stand out. Image Detail: Foil is great for large bold prints! We recommend not foil screen printing on any part of your design that has very fine detail. There’s a risk of losing significant pieces of the image because it might not adhere to the garment or the clarity might dismantle. Tip: Foil is an embellishment that can be used with our water based inks. The two are compatible, so it’s absolutely fine to print a design and highlight parts of the image with foil. Foil Colors: Our standard available colors are gold, silver, black, red, blue, copper, and green. Custom colors are available upon request, such as rainbow, swirl, and other patterns. Recommended instructions: Properly applied foil will last a long time, but the shimmer and shine will fade with each wash; starting with wash number one. We highly recommend that you design with a distressed pattern. This will likely increase the lifespan and wearability of your foil printed t-shirts. 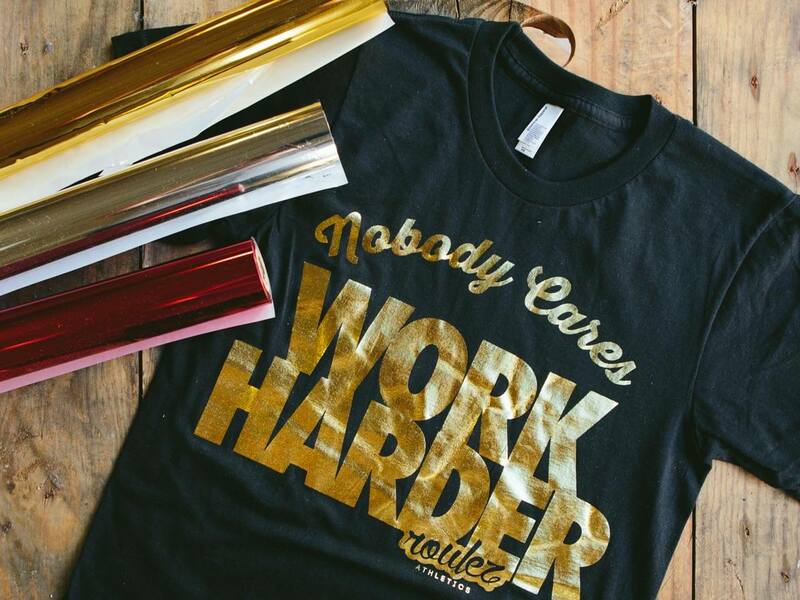 If it's "supposed" to have a distressed look to it, then it will be much less noticeable over time when your foil printed t-shirts begin to fade and crack. Due to foil’s tendency to breakdown naturally, consider how much of it you want to use in your design. 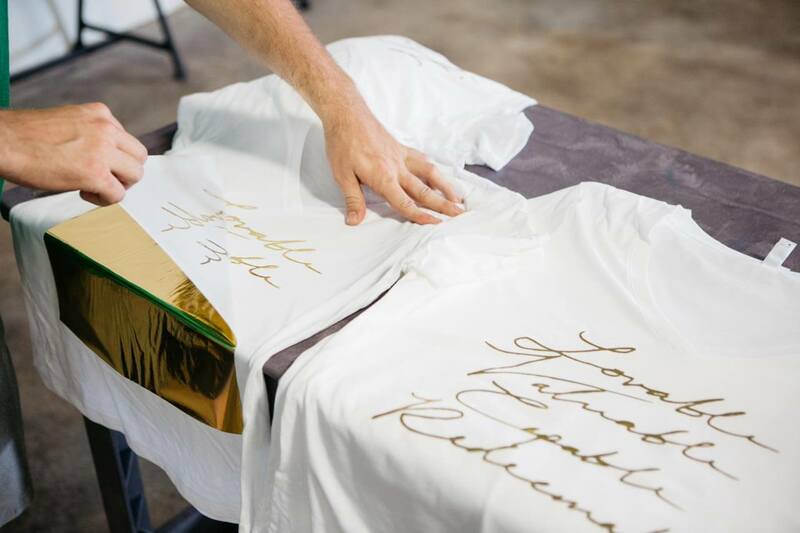 Print Options: Foil is meant to shine, but we’ve also adapted a new method of foil screen printing to achieve a matte foil application So, instead of one choice, you now have two choices of foil printed t-shirts: shiny or matte! Make sure to let your Account Exec know if you'd like a matte finish, since shiny is the default. Caution: Foil can be somewhat reflective in the sun, which also makes it hard to photograph consistently. How it works: Foil is sent over on rolls (much like how aluminium foil is found at a grocery store). Production has to manually cut every piece of foil into custom squares depending on the size of your graphic. We won’t do all over foil screen printing.